http://www.inspection.gc.ca/english/fssa/polstrat/haccp/haccpe.shtml The HACCP is the leading platform for international legislation and good manufacturing practices for all sectors of the food industry. Many certified compliance standards have made it a key component. It also took a prominent place in international trade of food products. www.c-tpat.ca The Customs-Trade Partnership Against Terrorism (C-TPAT) is a certification, in which all participants in the supply chain cooperate with U.S. Customs in the development of safe methods for each phase of their operations. 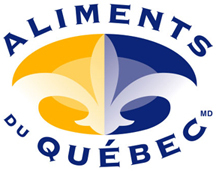 The program addresses the concerns of security against terrorist threats to the importation of goods in the U.S.
Can be considered “Aliment du Québec”, while Quebec produced entirely or whose main ingredients are from Quebec and for which all the activities of processing and packaging are made in Quebec. 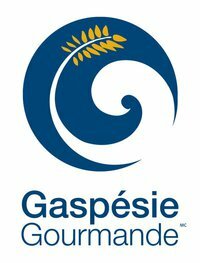 “Gaspésie Gourmande” wants the reference, the flagship for the Gaspésie gourmet radiation both at home and abroad. The Association's mission is to promote and support the development of the marketing of organic food products from Gaspésie and associate an image of quality products. Since summer 2009, “Exploramer” offers certification program "Fourchette bleue”, to the sound management of marine resources" that encourages restaurants and fish markets offering little-known flavors of the many edible species of the St. Lawrence, from the perspective of sustainable development and biodiversity protection. Presented by The Network of Business Women of Quebec in collaboration with the newspaper Les Affaires and the Mouvement Desjardins, the annual Gala Awards Business Women of Québec recognizes they deserve women who have distinguished themselves in business and contribute to the development of Quebec society. Innovation & Creativity Award of Recognition at the Gala Desjardins organized by the Chamber of Commerce of the Haute-Gaspésie. In the category Innovation and Creativity. The company has been innovating in order to maximize the use of its resources and reduce waste. It has developed a wide range of prepared products, “Les Cuisines de Saint-Maxime” that meets the current culinary high expectations. 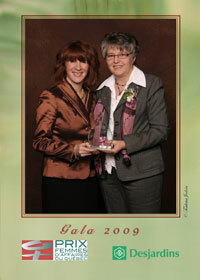 Award Manager of the Year at the Gala Desjardins organized by the Chamber of Commerce of the Haute-Gaspésie. In Category Manager of the Year, Mrs. Helene Ouellet and Mr. Laurent Normand have been given recognition. Their hard work and unwavering commitment has enabled the company to remain at the forefront in the fishery sector and to develop innovative processed products of high quality.